Hellooooo! 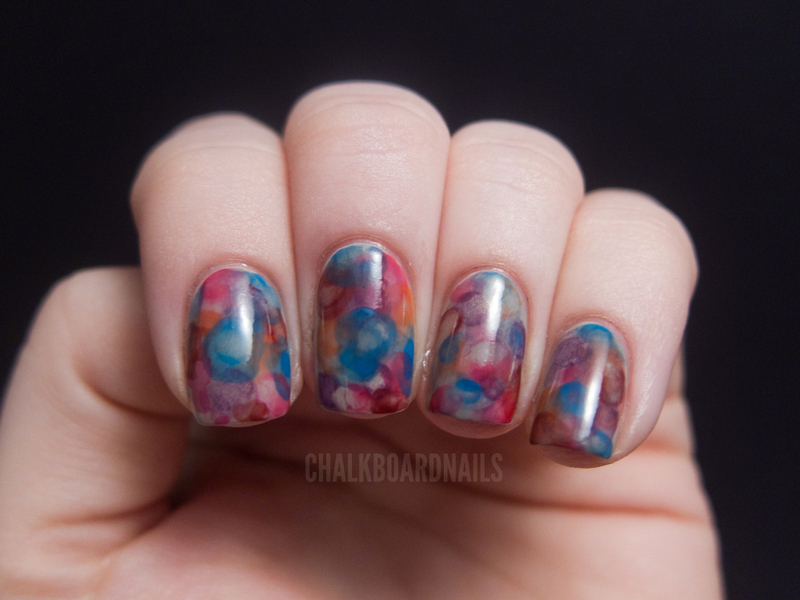 Today I've got another set of watercolor nails for you. You can check out my last try here. These ones are definitely more muted than the last time I tackled this technique, but I like the color combination. It seems kind of fall-ish, though, and I'm fairly certain that's just because of the presence of the brown. The base here is OPI Did You 'Ear About Van Gogh?. I think I did a better job on the technique this time than I did last time. I was able to get more spreading of the colors and a more dreamy, watercolored look. I think that's because last time I was using the wrong acetone, and not enough of it. This time I used pure acetone instead of my acetone+glycerin mix and I got more of it on my brush. I do like my older color combo better though. Want to try watercolor nails of your own? 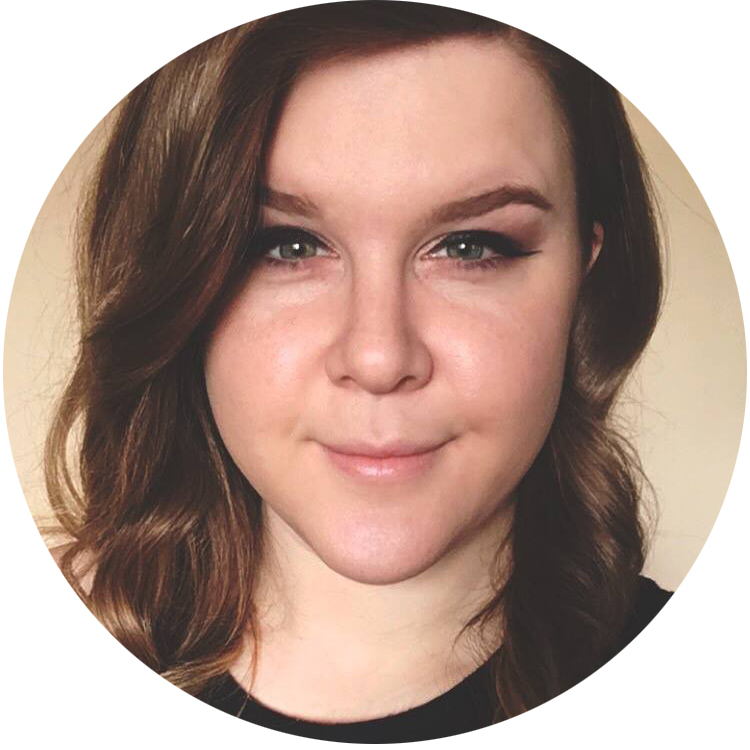 Check out this tutorial on BeautyGeeks (mine still don't look quite like the ones in the video... I will figure it out eventually)! I've never tried the watercolor effect... I'll try when I have a bit of time. Oh wow! !, I love this manicure a lot, looks so cool! Imhave never seen something like this before! Thatnlooks so pretty!! i need to try this..looks like a lot of fun. 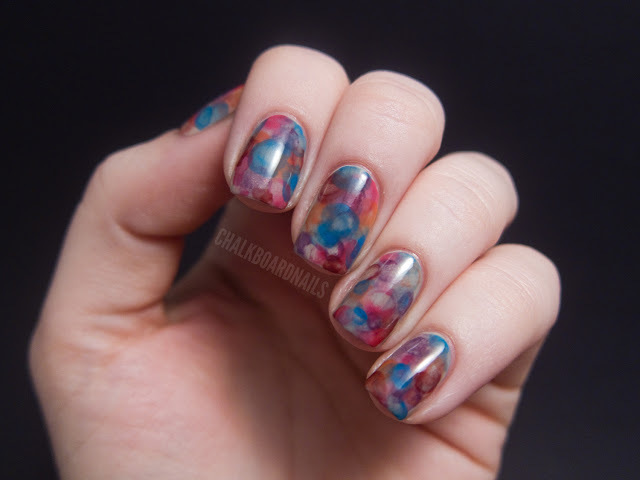 I can't get enough of these watercolor manis!! So pretty! 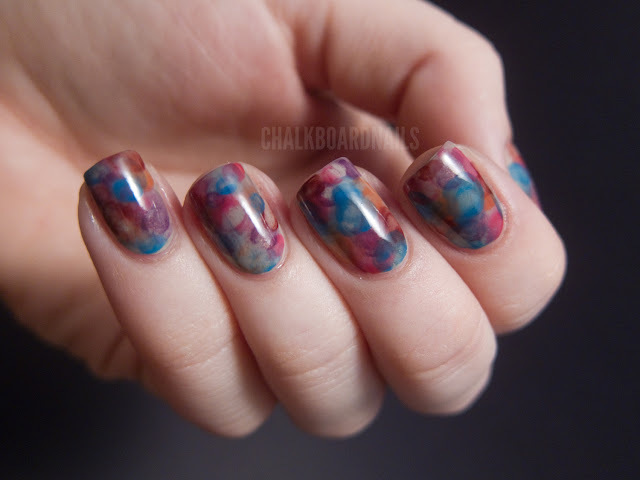 I've never seen watercolor nails before, but I can't wait to try this technique. I'll link back to your blog if I end up posting about it! Yours look b-e-a-utiful! I still think this is really pretty. I love how the base mutes the colours. I love watercoloring! It kinda reminds of me of Van Gogh art! It looks great! Gorgeous colors!! I've never seen anything like this done before, its beautiful! Ahh, I love this design so much. I am a completely failure at the watercolor nails. Your's blow me away, they are awesome. well it may not look like the video but I like urs better. I definitely have to give this a try - Thnx for sharing the link to the tutorial! Wow! That is such a cool effect! I love these, and I keep meaning to try them. Yours looked awesome on the first attempt and even smoother this time. These are so pretty, reminds me of a Monet painting. Just watched the recommended video and it seems like you might have better control applying the nail polish to some foil first and then picking it up with the acetone soaked brush. I liked the way those spots were more watery. I'm gonna have to try this soon! Cool nails - watercolor isn't something I've tried yet. BUT I wanted to give you a big HUG for posting the link for glycerin - acetone! Where have I been hiding that I didn't know about this? I've decided to crawl out from under the rock and get some glycerin and try this. Thanks a bajillion! Beautiful! I also have not tried this yet - but really ready to.